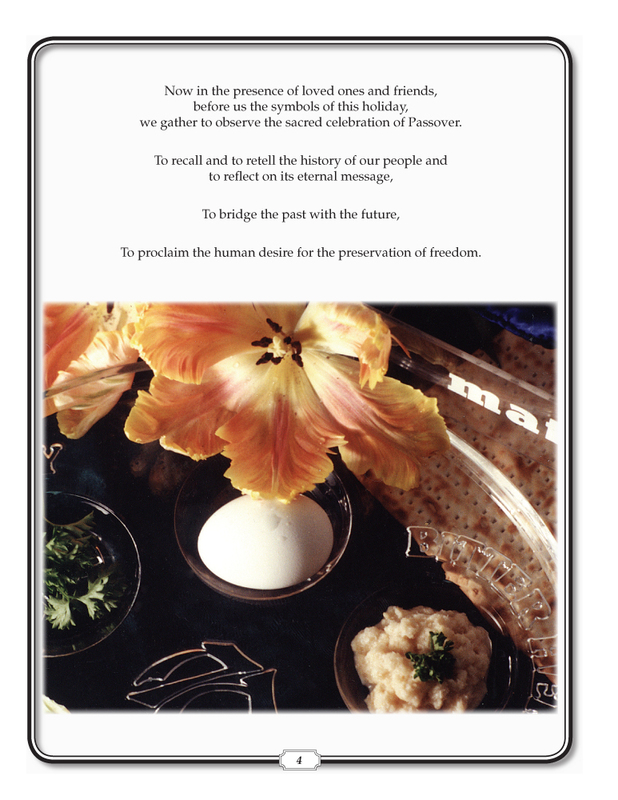 My intent was to create a Haggadah that clearly explaines the rituals and symbols of Passover, that organizes the format in a coherent and cohesive manner, and that emphasizes the universality of the message of liberation. This representation is meant to merge modern ideals with the traditional values of the holiday. 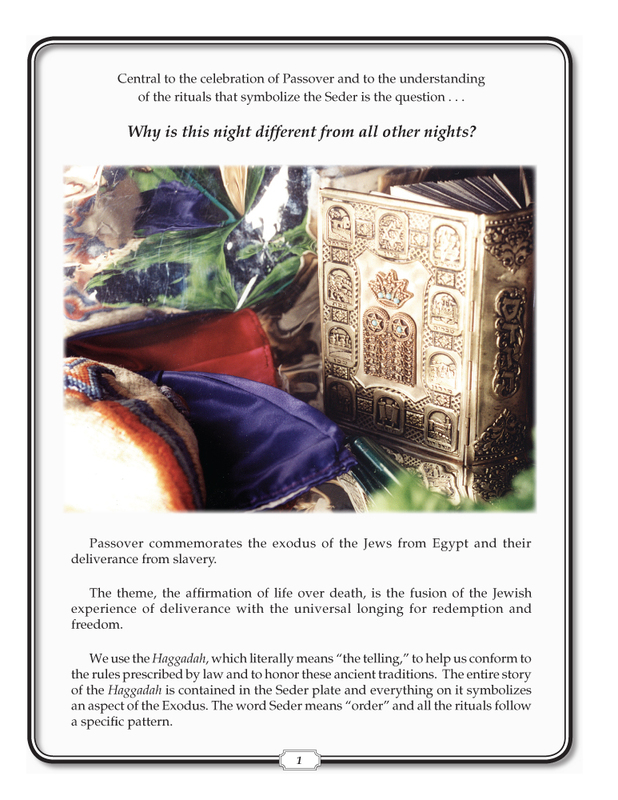 The result is a Haggadah that is kosher , concise (thirty minutes), and completely original in its photographic illustrations. 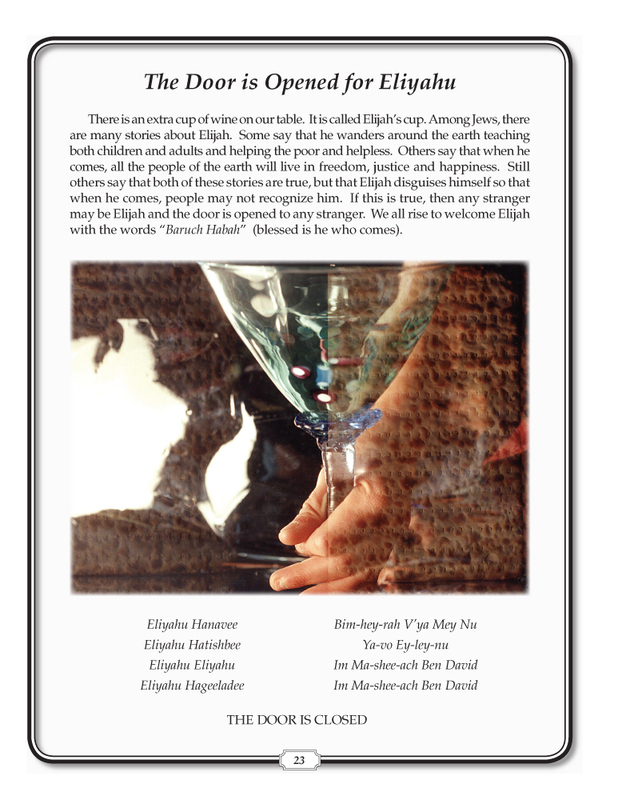 Each Haggadah is personalized with the family’s name. 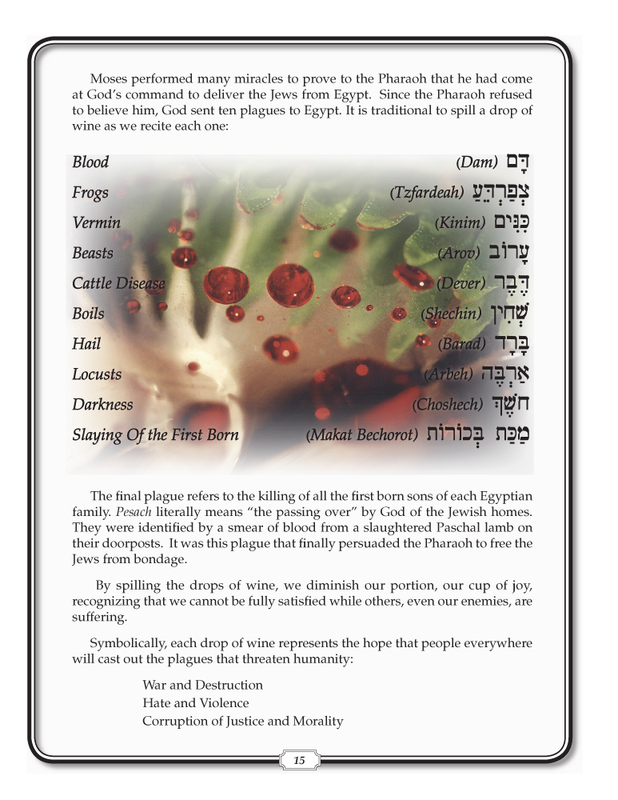 Below are four sample pages from the text of 29 pages. Discounted rates available for sets of 5 or more.